An independent travel guide to Con Dao Islands with candid reviews and recommendations. No sponsored content, no advertorial. For most of the twentieth century a ticket to the Con Dao Archipelago, 185kms off Vietnam's southern coastline, was likely a sentence to incarceration in Indochina's most brutal political prison. 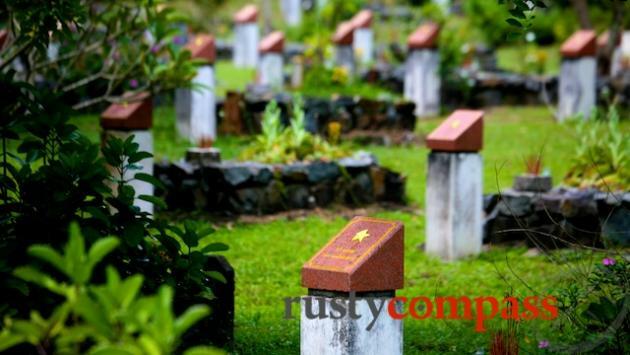 For the French and the US backed South Vietnamese regimes, Con Dao's main island, Con Son, was a dumping ground for Vietnam's most feared nationalists and communists. After a few decades of post Vietnam War anonymity, the Con Dao Islands have burst back into the spotlight - in the travel pages. Beautiful beaches, lush forests, a diverse eco-system and quaint quiet streets - with a heavy historical backdrop - are the secrets to Con Dao's newfound success. And a recent visit by Brad, Angelina and family has done wonders for the rebranding. Con Dao's location saw it brush with South East Asian traders over many centuries. When European trade with Asia began developing, Portuguese and French traders passed through eyeing off the archipelago's strategic and natural assets. The British East India Company attempted to set up a small garrison in the early 18th century but their efforts were shortlived. The mercenaries they commissioned to set it up, turned on their masters, slaughtering them and bringing to a bloody end Britain's brief reign. Captain James Cook, the explorer and cartographer who first claimed Australia for Britain, skirted Con Dao in 1780. At the end of the 18th century, Nguyen Anh, the man who founded Vietnam's last dynasty, offered the Con Dao Islands to the French in exchange for military assistance in his successful campaign to unify Vietnam under the Nguyen clan. Nguyen Anh went on to become Emperor Gia Long and founded his Nguyen Dynasty capital in Hue in 1802. The stain of collaboration with the French would haunt the new dynasty until the French took full control of Vietnam in the second half of the 19th century. The Nguyen Dynasty hobbled on at the pleasure of the French until 1945. By the late 19th century, the French colony needed somewhere to dump recalcitrant natives resisting their mission civilisatrice. 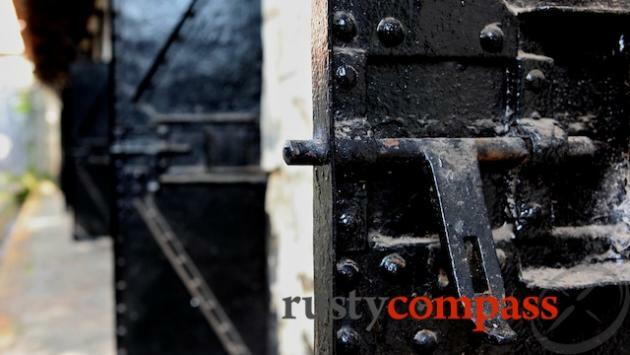 They established a small prison complex on Con Son, the largest island of the group, in 1861. As the Vietnamese resistance to the French gathered steam in the early twentieth century, the prison expanded. It became a defacto training ground for hardened revolutionaries. 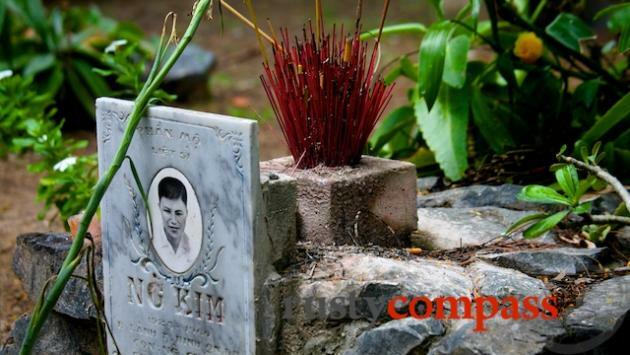 Many of Vietnam's most celebrated communist leaders spent time here. After the departure of the French, the US backed South Vietnamese government maintained the prison. Its reputation for horrendous brutality continued. A visit by a US congressional delegation in 1970 discovered barbaric tiger cages holding captured opponents of the South Vietnamese government. Widespread publicity of the cells in the US press further undermined the US mission in Vietnam. In 1975, with the end of the Vietnam War, Con Dao retreated into quiet anonymity as a military outpost until its beauty caught the attention of travellers less than a decade ago. Regular daily flights and the recent opening of the Six Senses luxury resort has put the Con Dao Islands in focus as Vietnam's next big seaside thing. The recent installation of traffic lights was an ominous sign for an island that hasn't yet seen any traffic. 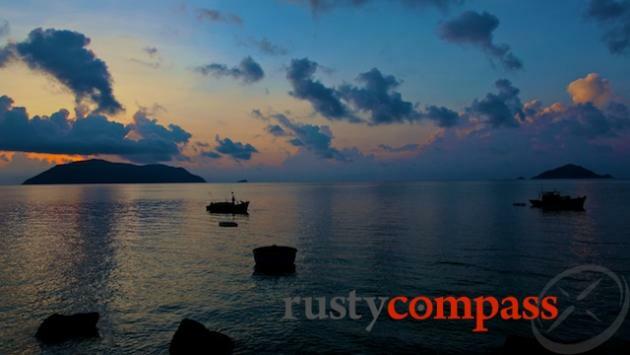 Con Dao has a wonderfully uncluttered, relaxed feel that only remote islands can. It's a feel that's hard to come by elsewhere in Vietnam. And it feels perilously fragile here too. Almost all travellers to Con Dao make the 230km, 45 minute flight from Saigon. There are now several services a day between Saigon and Con Dao's French era airport. Con Dao's airport is located on Con Son island and is around 30 minutes by minibus to the town. Transfers are best arranged by your hotel. A local overnight ferry service operates from Vung Tau but this would seem only suitable for those determined to do things the hard way. It takes at least 12 hours, is cramped and uncomfortable. A new fast ferry service recently opened between Rach Gia in the Mekong Delta. It takes around 2.5 hours. We haven't tried it yet. If you're not travelling on a tour, you'll have to get around Con Son island on your own. That's not hard though. Bicycles and motorcycles are available and are perfect for island exploration. The roads are in good condition and largely free of traffic. If you're planning on covering the whole island by bicycle, you'll need to be fit. There are some challenging hills. There are plenty of pleasant, easier rides closer to town though. There are very few xe om motorcycle taxis and no conventional taxis. Hotels can arrange car hire but there are a limited number of vehicles available on the island. Ask your hotel to arrange your airport transfer. Con Dao is an incredibly safe place in terms of crime. It's a great relief if you've spent lots of time in Saigon and Hanoi. It's virtually hassle free and crime free. Even though the roads are in good shape, take care when cycling or motorcycling. 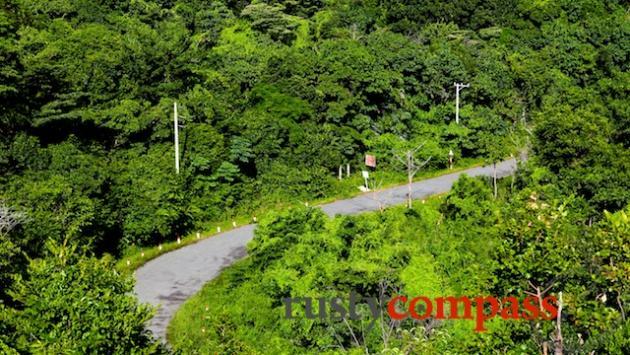 Like everywhere in Vietnam, Con Dao's roads can throw up surprises. Medical facilities on Con Son are basic in the extreme. For any serious health issues, you'll need to be flown back to Saigon. Most hotels offer free wifi however internet services are slow and occasionally unreliable. Mobile phone services work in parts of the island including around Con Son settlement. There is an ATM on Con Son Island but make sure you have plenty of cash (Vietnamese dong is more useful than USD or Euros) as well, as it sometimes fails. Credit cards have limited acceptance on the island.